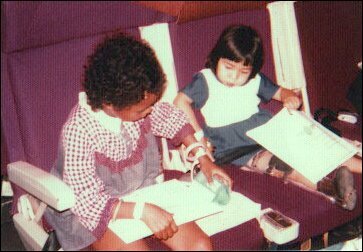 Operation Babylift articles and photos from people touched by this experience : adoptees, parents, air force crew, nurses, adoption workers, and many more. This is the story of Operation Babylift, an amazing and far-reaching event in adoption history. In 1975 over 2,000 infants and children were airlifted from Vietnam and adopted by families around the world. 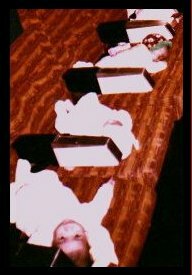 When spoke to participants of the Babylift many years ago I was touched that a story with such impact and drama had all but become buried. There was almost nothing on the internet at the time, and at that time very few books. As I learned more, I began to understand the various reasons for the silence on this story - not only was it a reaction to the Vietnam American War, which many wish to forget, but there are some cautionary notes here for those involved in adoption today. But this story deserves to be told, both for the wonderous courage and committment shown by those involved, and because it is responsible for bringing so many adoptees home. Since I wrote the original article for Adoption Today magazine and published some of the original interviews on our website, many people have volunteered to share their stories and photographs. It has even been used by Oprah, BBC, ABC, and PBS. I hope you enjoy reading these first hand accounts and personal stories as much as I have! Photographs of Operation Babylift from World Airways. Betty Tisdale evacuated 219 orphans from An Lac Orphanage during the time of Operation Babylift. I have been blessed with many touching and informative letters since I wrote the original article about the Babylift. Here are a few you all might enjoy.